If 2018 reminded investors of anything, it was how to protect against the downside while not giving up too much of the upside. In the fourth quarter of 2018, global equities experienced a 13% decline after an overall volatile year in which equities reached new highs and suffered drawdowns that neared 20%. 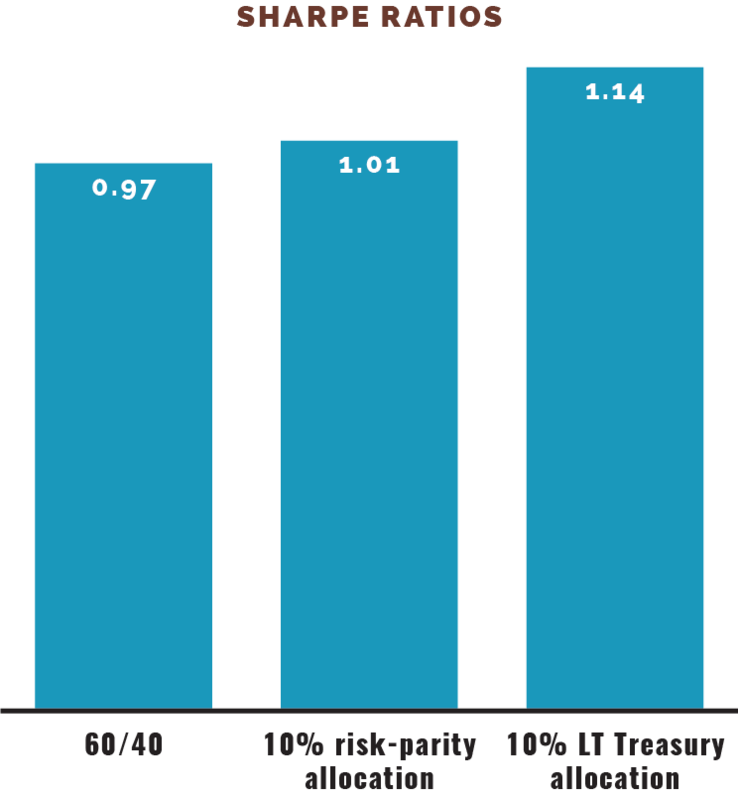 A look at common tail-risk strategies shows that dedicated allocations to either risk parity or long-term U.S. Treasuries can provide positive effects to the basic equity/debt portfolio. Tail options: Both risk parity* and long-term Treasuries offer downside protection to varying degrees. 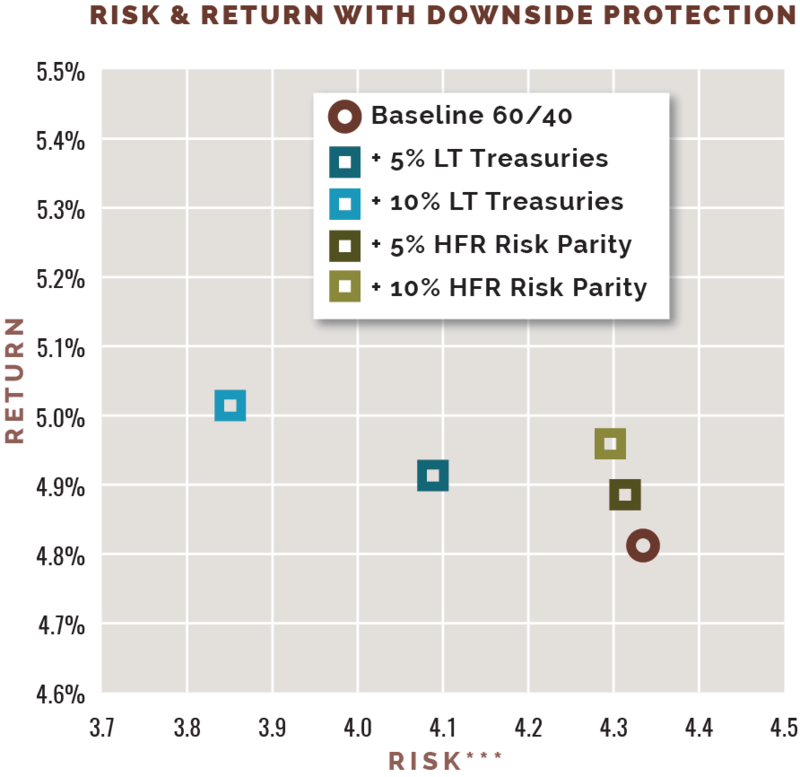 Risk parity’s upside is more correlated with the 60/40 portfolio,** while Treasuries help more on the back end. Portfolio effects: Allocating to either strategy improves the 60/40 portfolio risk/return profile. Long Treasuries’ more negative relationship with equities improves their diversification benefits relative to risk parity. 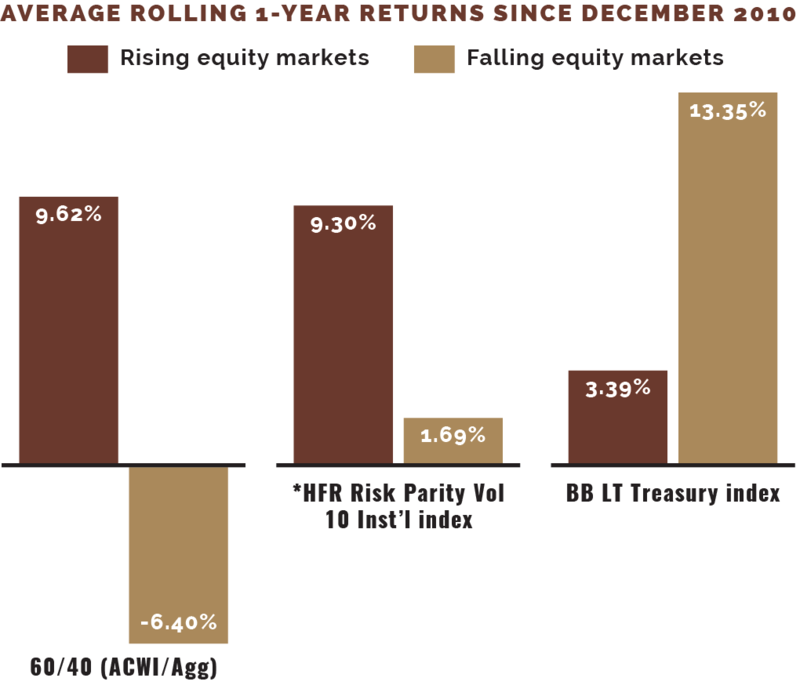 Highly efficient: A proportionate 10% allocation to long Treasuries offers a 17% improvement in risk-adjusted returns compared to the same allocation to risk-parity strategies over the average three-year period. 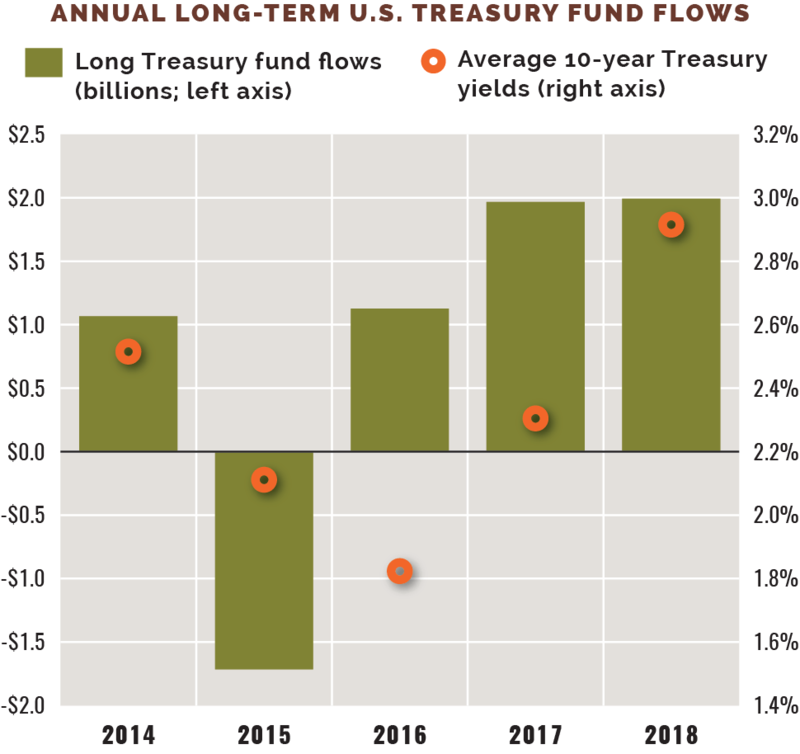 Investors choice: Long-term Treasury strategies took in a net $2 billion in both 2017 and 2018 despite a rising rate environ- ment. Fourth-quarter 2018 net flows were $557 million amid the market’s 13% drop. **60/40 portfolio: 60% of the MSCI ACWI return and 40% of the Bloomberg Barclays U.S. Aggregate Total Return index. ***Based on the correlations and covariances of portfolio assets and weightings. Sources: Bloomberg LP, Morningstar Inc.